Carseats take a real beating, especially if your children eat while in them. This tutorial on How to Clean a Carseat will show you how to get your kid’s carseat clean step by step, making sure it is completely clean and sanitized. These days, our children spend a significant amount of time in their carseats. Babies sit in them during travel, and when out and about shopping and running errands, then toddlers are in them during car and plane travel. Most of us allow our kids to eat and drink in their carseats, so they can get extremely messy. Carseats also take a pretty nasty beating when children have accidents, diaper leakage and when they get sick in the car. I can tell you from experience that when a child gets sick and vomits in a car, it’s the most disgusting thing ever. I remember the first time of of my kiddos got sick in the car, and I had no idea what to do to get their carseat clean. I thought about hosing it off and giving it a good scrub, but knew that the smell wouldn’t go away unless I really cleaned the fabric thoroughly. So, I taught myself how to deep clean a carseat, and it was a lifesaver going forward. There are a few steps you have to take, but you can get the entire seat, base and fabric clean with ease. 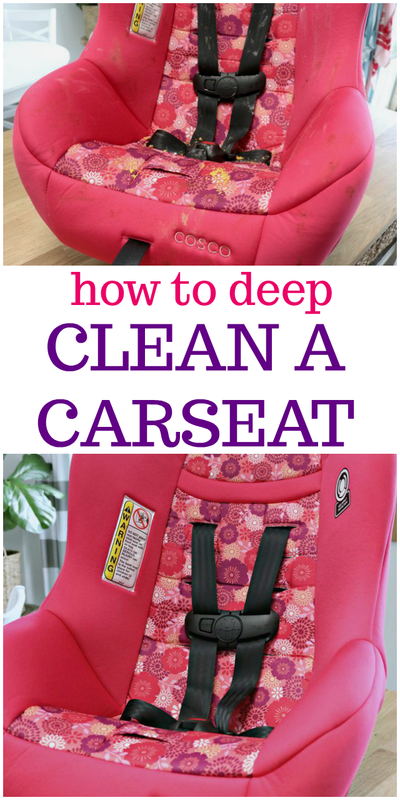 Follow THESE step-by-step instructions showing How to Clean a Carseat with Ease and never worry about the filth again! 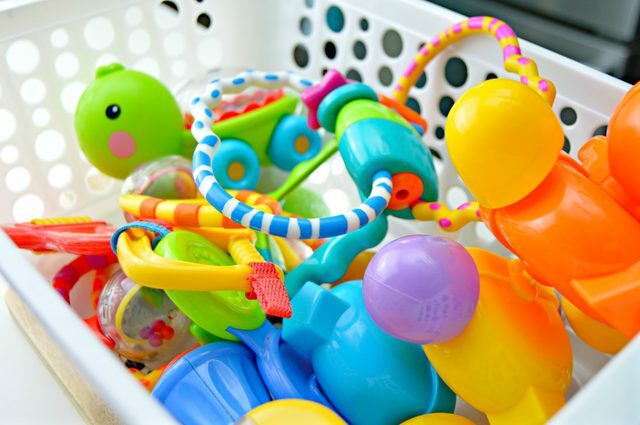 Flu season is in full effect, and the best way to keep your baby from getting sick or spreading germs is to make sure that any items they are sticking in their mouths…which let’s be honest is just about everything they can get their hands on, gets sanitized regularly. Make THIS All-Natural Baby Sanitizing Spray and see how easy it is to keep their toys and pacifiers clean and germ free! Got stinky diaper pails? Even though most diaper pails claim to keep the stink inside, I have yet to find one that actually does just that. 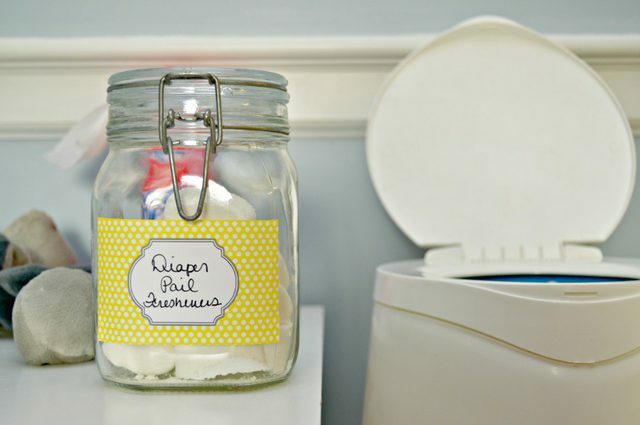 So, I have been making THESE Diaper Pail Fresheners since my kids were little. I’ve also made them and gifted them at many baby showers over the years. They are all-natural, odor absorbing, and easy to use! Most babies and children have really sensitive skin, so washing their clothes and linens in a gentle laundry detergent is a good idea. There are several that you can buy in stores, but they are pretty expensive. It’s really easy to make your own with a few natural ingredients, and you can feel good about knowing exactly what is going into the laundry detergent that will eventually touch your children’s skin. 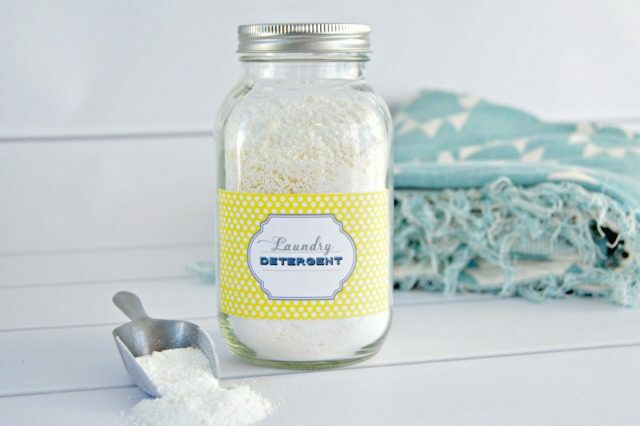 Make THIS Homemade Laundry Detergent for Babies, and never buy that high priced, chemical filled detergent again!